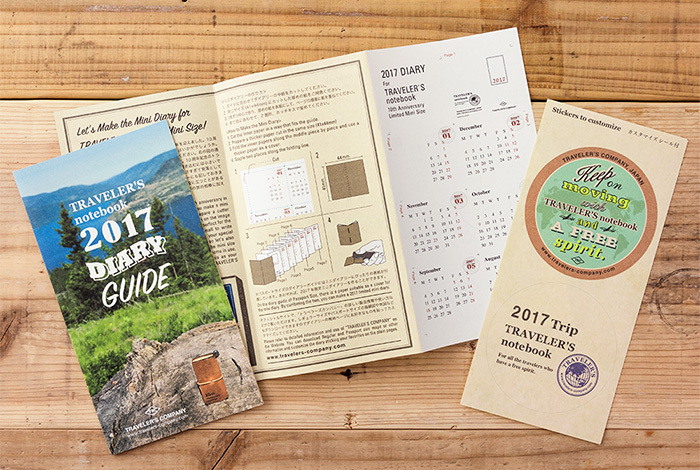 *The format has changed to a new version starting from the 2017 edition. 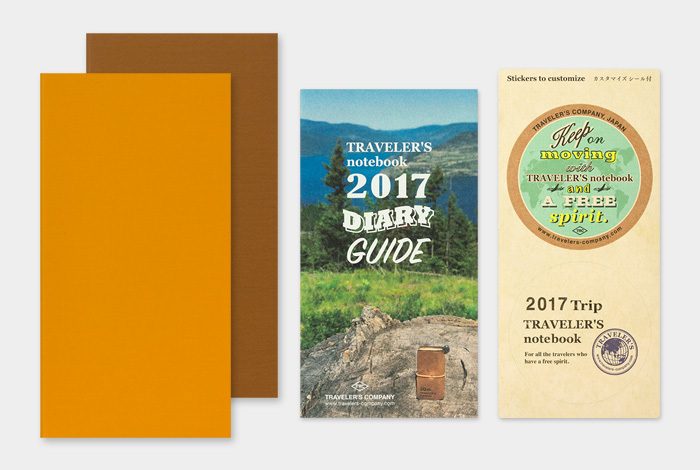 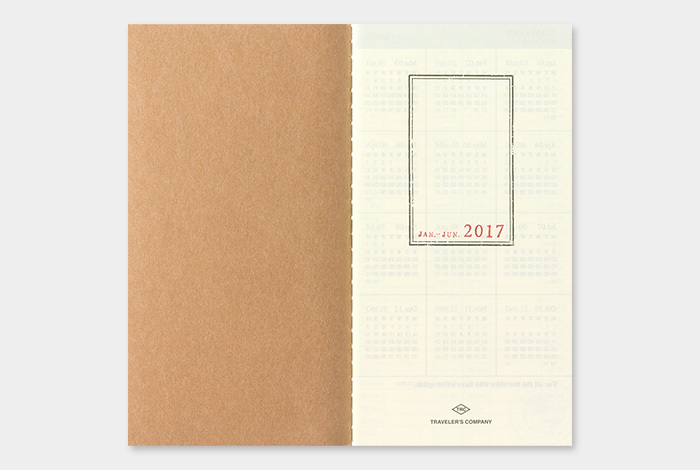 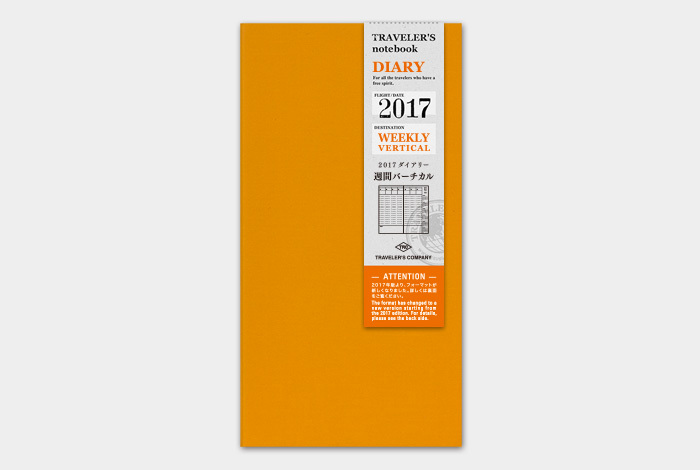 This is 2017 Diary Weekly Vertical-type for TRAVELER’S notebook. 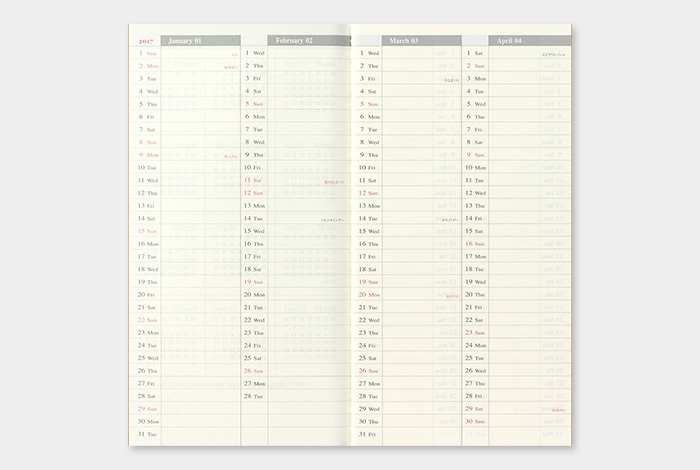 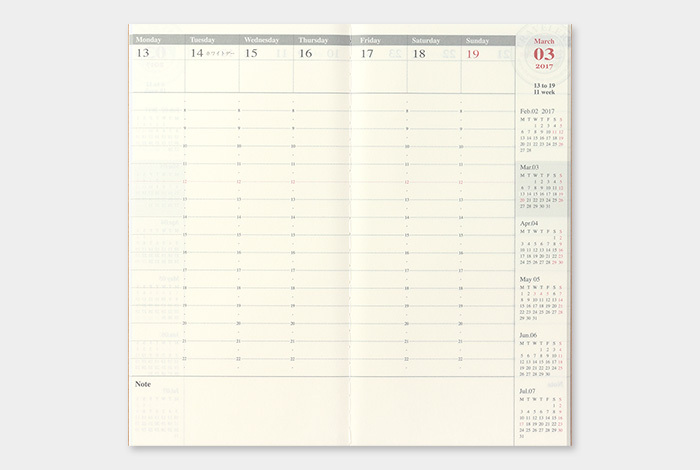 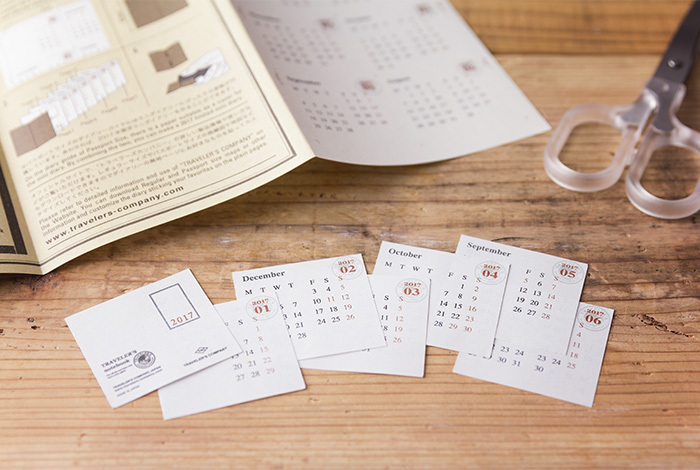 The Vertical Diary is useful for keeping track of schedules on a timely basis. 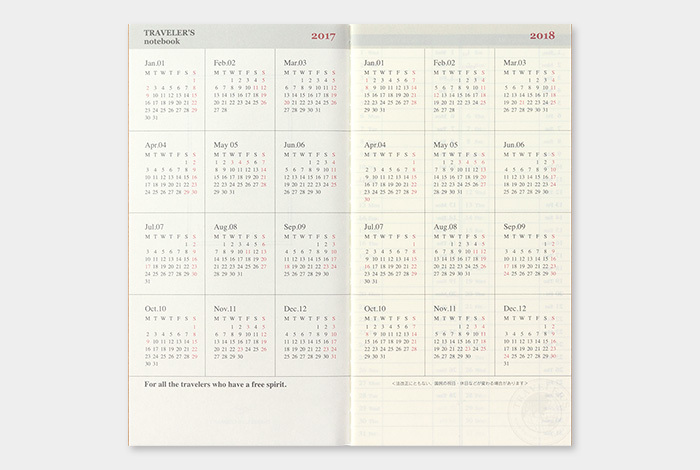 In the past, Saturdays and Sundays had a small space, starting from the 2017 edition, we changed it so that all the days have the time axis.